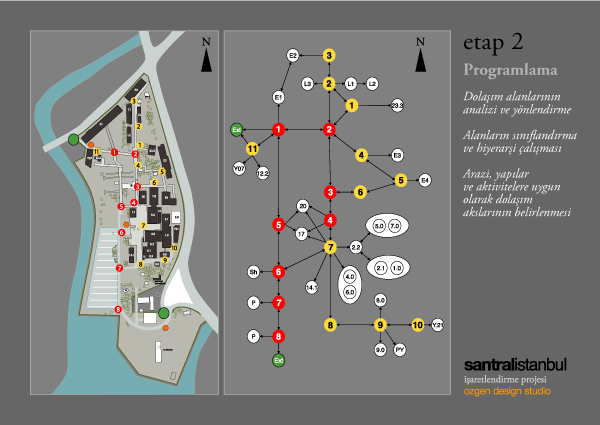 Definition of a brief to enable Santral Istanbul to realize its own signage elements by its own means. The Santral Istanbul, opened in 2007, is an arts and cultural complex located at the upper end of Golden Horn in the Eyüp district of Istanbul, Turkey. The center, consisting of a modern art museum, an energy museum, an amphitheater, concert halls and a public library, is situated within the Silahtaraga; a campus of Istanbul Bilgi University that was formerly the first power station of the Ottoman Empire. 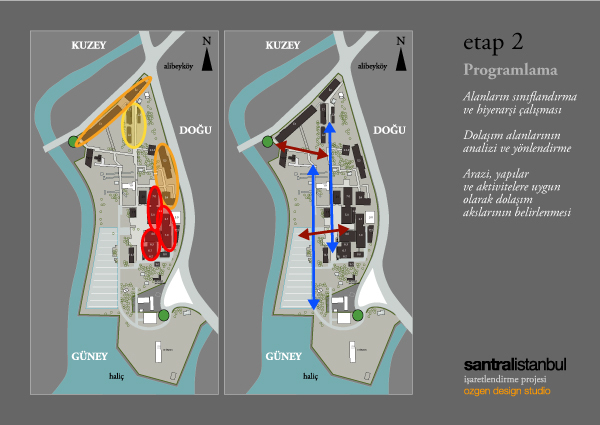 Arts, cultural, educational and social buildings of SantralIstanbul, having an area of 118,000 square meters, are all housed in the facilities of the former Silahtaraga; a Power Station, which served from 1914 to 1983 for supplying Istanbul with electric power. The site is named after the Turkish language word “santral” for power plant.